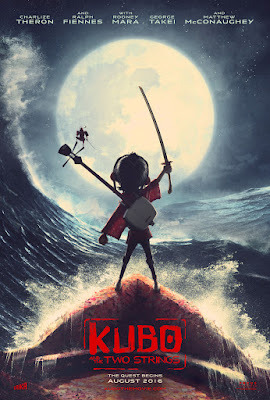 The beauty of Laika's Kubo and the Two Strings! We are going to see this as a group this Saturday Aug 27th, the 10:15am show (Meet at 10:00am at the theater). Afterwards we'll ramble somewhere within walking distance for lunch/brunch. If you have any issues call me (Darcy) 513-304-9780 and I will guide you. See you soon!